The expression, “as good as it gets” could have originated by some very proud Lay Lake regular. Especially if he/she visits this lower Coosa River Impoundment with any regularity during the cooler days of Fall. Sure, an angler can get all fired up (after reading a fishing report such as this), head to the lake and suddenly have utter disappointment…on just one trip to Lay lake. It takes more than one trip this fall season to expect success. This happens often, especially for anglers that only get a chance to go fishing a few times a month when time off for pleasure activities allows. 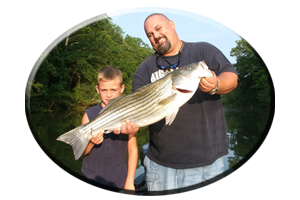 Many people – those that love to fish but cannot find time on weekdays – simply have to go on days like Saturdays and Sundays. Weekends when they are off of work or some in cases a bass tournament beckons their call. 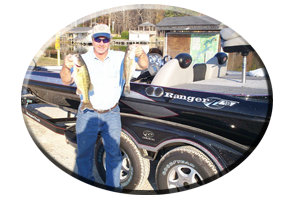 Whether you fish for fun or competition its become a plain, well known fact, weekends are becoming more and more crowded on all of our Alabama lakes. Weekends are especially crowded on a lake like Lay lake, situated only 40 miles southeast of Birmingham, Alabama. This summer many anglers escaped the weekend crowds by night fishing. Very peaceful and a lot less crowded when boaters, jet skies and water skiers leave the lake by evening. Some daytime anglers again just braved the heat, which was not all that bad, compared to summer’s past. In both instances, from my point of view, the results of bass fishing was generally rather good. Plenty of rain and lots of cloudy weather, no major drought or week long heat wave and Lay lake has remained at or near full pool all summer long. 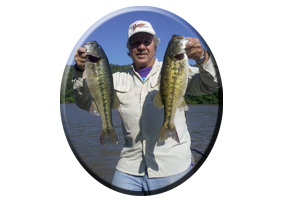 For bass anglers seeking Lay lake’s Coosa River breed of big, spotted bass and the well known largemouth bass of Lay lake (some largemouth’s now exceeding 10 pounds), a little help is always needed, advice by someone that visits the lake every week. That’s why most anglers read these fishing reports. For information. Unlike most fishing reports I’ve seen in the past (or even the present), reports I’ve tried avoid wasting my time writing, I try to include such info in my reports as lake history, lake navigation, general lure selection and places to fish them, including lure types and lure color choice, various types of rods, reels and tackle needed for each fishing situation. Just plain good, simple advice. 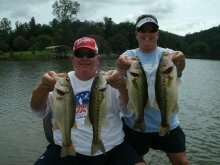 After all, when you have fished every lake in Alabama for over 40 years, its always helpful to other anglers to share these tips, secrets and words of wisdom when it comes to fishing. I’ve fished this lake in every season for the last 30 plus years of my life. Fall always shows good results for fooling Lay lakes big bass with a variety of fake offerings. When the days get shorter and the nights begin to get cooler it triggers a feeding sensation among Lay lakes bass. Its feeding time and they seem to know it, the more the waters cool. September and early October can bring major changes, both on the lake and off the lake. There are many reasons for these changes. Early fall shows some anglers into other activities that generally keeps them off the lake. Weekdays can show boat ramps empty at dawn. Even weekends show fewer anglers on the lake with some would-be anglers now tending to off-the-water duties like getting their children back in school, watching football or spending time in the woods deer hunting. So right there, you have licked the crowded lake syndrome. Changes throughout Lay lake begin to emerge as well. End of the summer season baitfish like big, gizzard shad and threadfin shad have reached their size potential and this always brings in the bigger bass to feed on these oversized meals, that fill a big, empty belly fast. Bream are found lake wide and they can be found bedding several times throughout the summer season. By Fall, these bass know the choice spots these bream have chosen to bed in and they lay in wait for an easy to catch bream meal each day. There’s now more to eat on the menu and the bass gorge themselves on whatever hapless prey wanders by within striking distance. These Lay lake bass have eaten small frogs all summer long, water snakes, dragon flies and insects, lizards and waterdog’s, small minnows, crayfish, baitfish of all kinds and even small turtles, birds and ducks that venture to close to ol’ big mouth bass, are all in danger of being eaten. So it makes sense to rig your rods with lures that look and act like these meals they are feeding on. Take the frogs for instance. (See: “Fun with frogs and rats” article at: www.fishingalabama.com) By fall, this aquatic weed lake is infested with frogs and their incessant croaking can be heard lake wide. Big bass like frogs. Frogs, despite their size, are rather easy to catch. The lake has plenty of frogs and all these bass have to do is lay in the weeds and wait. When eaten or swallowed whole, frogs go down easy, with no spines or fins to jab in the mouth of the attacking bass. Lures that look like frogs are many. Some of today’s frog imitations are so realistic-looking, when compared, its hard to tell a fake frog from a real one. Still, no matter how good a lure looks, when in the hands of a master is when it excels and fools a bass into striking. So lure presentation is important to. Short steady hops of the frog, pauses, speeding up the lure and knowing when to set the hook, are all important for your success. 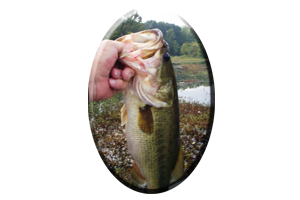 Long casts with 6-7 foot rods, coupled with strong line, good dependable reels, sharp hooks and utilizing a good hook set, are needed when fishing with frogs. A strong and healthy heart is needed as well. Blow ups or topwater explosions as some anglers call it, can be tremendous and not for the faint hearted. Other topwater lures such as buzzbaits simulate frogs or baitfish skittering across the waters surface. A close second lure choice for the early fall season would have to be a spinnerbait, inline spinner or a chatter bait. All of which work very well in aiding a bass to locate your lure. Vibration and flash occur under water with these lures and Lay lake often has stained water in the fall due to heavy rains. With baitfish high on the daily menu, these Lay lake bass can be fooled with hard bodied lures like shallow to deep diving crankbaits, rattling lipless lures and suspending and floating model jerkbaits. Baitish, even the bigger ones, can be imitated with soft, oversized plastic swim baits and shad imitations. 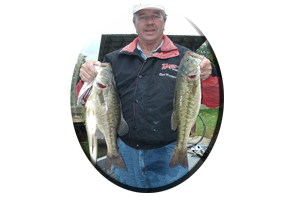 During summer and fall these Lay lake bass eat a lot of crayfish. Like frogs, these crustaceans are rather easy for these slow, lazy bass to catch. They are also high in nutrition. Crayfish can be found in shallow water around weeds, wood cover or rock cover. Crayfish especially like the security of rocks, where they can escape these voracious eating bass. Crayfish, therefore can be found along banks lined with man made rip-rap rocks, or hidden among rocky or boulder infested banks, rock bluffs, sea walls or even in deeper water around bridge pilings. Many of today’s lures look like crayfish. There are many sizes of plastic poured crayfish, crankbaits that look like crayfish, and loads of jig combos with attached trailers, that simulate crayfish. Lay lake’s crayfish always have some orange or red on their undersides and on the tips of their pinchers. They also display some hues of brown, green, black and blue colors. So anglers should make it a note to include these colors in your lure selections. Visit Lay lake this Fall season and see how many places you can have all to yourself…as Alabama’s anglers find other interests elsewhere. But be prepared or bring a friend, it can get awfully lonely on some days! Or call on Reeds Guide Service for all day friendly service while fishing any lake in Alabama, year round.